UNITED NATIONS, Aug 4 2015 (IPS) - The United Nations has declared that 2015 is already “the deadliest year” for millions of migrants and asylum seekers fleeing war and persecution in their countries. “Worldwide, one in every 122 humans is now either a refugee, internally displaced or seeking asylum,” says the Office of the U.N. High Commissioner for Refugees (UNHCR). But one of the least publicised facts is that Pakistan was one of the world’s first countries to provide safe haven for millions of refugees fleeing a military conflict in a neighbouring country: Afghanistan. 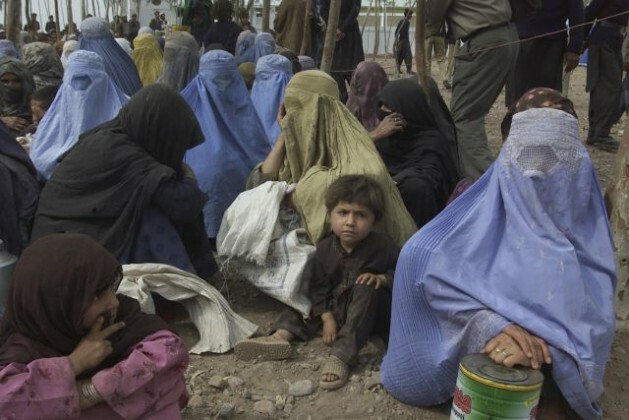 According to UNHCR, Pakistan has been hosting over 1.5 million registered Afghan refugees — the largest protracted refugee population globally—since the 1980s Soviet invasion of Afghanistan. Currently, Turkey ranks at number one, hosting more than 1.7 million registered refugees, mostly from war-devastated Syria, with Pakistan at number two and Jordan ranking third with over 800,000 refugees. Developing countries now host over 86 percent of the world’s refugees, compared to 70 percent about 10 years ago. Asked how her country coped with that crisis in the 1980s, Pakistan’s Permanent Representative to the United Nations Ambassador Maleeha Lodhi told IPS Pakistan actually hosted well over 3.0 million refugees when the numbers fleeing conflict peaked in 1990. A 2005 census confirmed that figure, of which 1.5 million are registered while the rest are undocumented. “The United Nations and the international community have played an important role in support of Pakistan’s efforts to look after our Afghan brothers and sisters,” she said. “But a great deal of this effort has been met from our own modest resources because we see this to be our humanitarian responsibility,” said Dr Lodhi, a former journalist with a doctorate from the London School of Economics and who has had a distinguished career as Pakistan’s High Commissioner to the UK and Ambassador to the United States. “It is the people of Pakistan who have shown exemplary generosity and compassion in embracing the Afghan refugees and extending help and support to them, and that too for over three decades,” she added. As hundreds and thousands of refugees continue to flee to Europe, some of the European countries have tried either to limit the number or bar them completely. The humanitarian crisis has spilled over into Europe, mostly Germany, with about 175,000 claims by asylum seekers, compared with 25,000 claims in the UK last year. According to the United Nations, the 28-member European Union (EU) received 570,800 claims from asylum seekers in 2014, an increase of nearly 44 percent over 2013. The crisis point, according to the New York Times, is one of Britain’s main traffic-clogged highways where migrants make their way through the Channel Tunnel from the French port city of Calais. “The British are blaming the French, the French are blaming the British, and both are blaming the European Union for an incoherent policy toward the thousands of people, many of them fleeing political horrors at home, who are trying to find jobs and a better future for themselves and their families in Europe,” the Times said. As his country vowed emergency steps to resolve the refugee crisis on the home front, Austrian Chancellor Werner Faymann said last week shelter for refugees was a human right the country was legally and morally obligated to provide. Austria, with a population of about 8.5 million, has received over 28,000 asylum claims in the first half of this year, slightly more than the total for 2014. In 2014, up to 3,072 migrants are believed to have died in the Mediterranean, compared with an estimate of 700 in 2013, according to the International Organisation for Migration (IOM). Globally, IOM estimates that at least 4,077 migrants died in 2014, and at least 40,000 since the year 2000. “The true number of fatalities is likely to be higher, as many deaths occur in remote regions of the world and are never recorded. Some experts have suggested that for every dead body discovered, there are at least two others that are never recovered,” said IOM. She said these challenges also require a spirit of generosity and to never turn away from the needs of those who are so tragically displaced by circumstances of war, poverty or persecution. “This spirit should shape our policies, inform our strategies, as well as empower the institutions of global governance and create conditions that can address the drivers and underlying reasons for such displacements,” she added. At the panel discussion, Ambassador Lodhi pointed out that more than half of the world’s refugees today are children, a number that has risen steadily, up from 41 per cent in 2009, and the highest figure in over a decade. This only magnifies the scale of the tragedy at hand, she added. The recent and ongoing surge of forced displacement has been accompanied by the tragic loss of lives. Thousands of men, women and children have drowned in the Mediterranean. And in East Asia, she said, thousands of Rohingya Muslims have been reported dead or missing as they made their journeys of escape from persecution, confinement and waves of deadly violence directed at them. And the current crisis of refugees could mark a new flag of shame, she declared.